Artificialꁑuartzꁓtoneꁓlab-welcome to china marmoglass, nanoglass, nano crystallized glass panel crystallized glass panel,crystallized white stone,white marble,minicrystal stone. 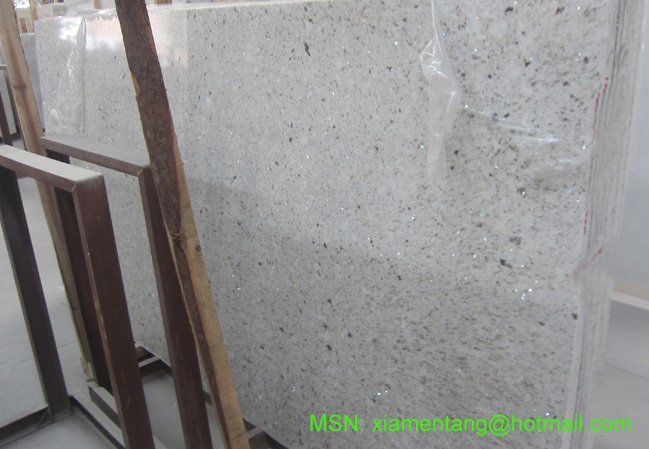 Artificial Quartz Stone (from China MarmoGlass Co.,Ltd) is synthesized with high purity acid-washed 93% quartz stone, 7% polymer material and a small amount of inorganic pigment under vacuum condition and through heterogeneous material aggregation technology. In the high pressure and high temperature, processes fully automatic 36-unit to fix thickness, grind and polish. Its high percentage of quartz (93%) ensures its hard, compact structure, good surface, high resistance to abrasion, compression, scratch, heat, corrosion and penetration etc. 1.It is hard enough and compact structure, and Mohs Hardness is 7. So it is resistant to scratch, wear, shock, rupture and compression. 2.It will withstand high temperature to heat without burning or scorching. 3.China MarmoGlass Co.,Ltd 's Quartz is no air pore. And it is resistant to stains from the wine, coffee, tea, olive oil, fruit juice, makeup and other common household products. 4.China MarmoGlass Co.,Ltd 's have many colors, such as pure white, pure black, pure red and so on. 5.China MarmoGlass Co.,Ltd 's Quartz has no color difference. And the color do not fade or change. 6.China MarmoGlass Co.,Ltd 's Quartz has high quality and reasonable price.